Let's present in your home cinema with a special home theater speaker system from JBL that is Cinema 300 and Cinema 500 which has been launched. Both are 5.1-channel speaker system. Both are designed with style in the style JBL Weave with four satellite speakers are identical. JBL Cinema System 500 has a lower crossover points of the type 300 in sepaker PolyPlas satellites with two 3-inch cone. 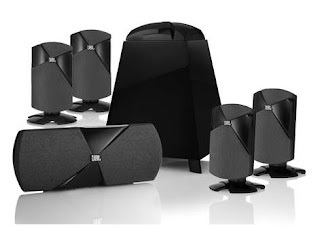 These speakers are promising clarity, let your ears listen to movie dialogue with clear, crisp sound, the music is accurate, and deep bass without waking the neighbors. Cinema speaker system also has the main speakers and 150-watt powered subwoofer (Sub model 140P) and 8-inch woofer (200mm). 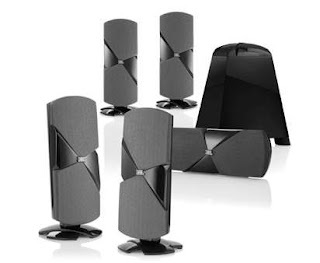 JBL Cinema speaker system 300 has a price of $ 499 while the Cinema 500 is priced at $ 699.